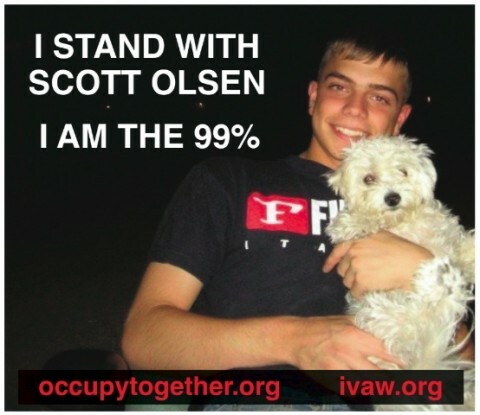 Scott Olsen, a protester who’s done two tours of duty in Iraq and is now involved in Veterans For Peace, was critically wounded by as Oakland Police were attacking demonstrator with projectiles. When people tried to help him, an officer lobbed a flash bang grenade right into their group. Olsen is currently hospitalized with serious injuries and is reported to be in critical condition. If you’re as horrified by this as we are, please sign this petition to Oakland’s mayor and then share this page with everyone you know.